Psyk released his first single for Tresor, Works in 2015. Four years later, the production of A Moment Before comes as natural progression, the album is undoubtedly Psyk’s most advanced piece of work to date. It dialogs with practices in reduced forms of techno, as originated by artists like Robert Hood, through the recently re-released Internal Empire on Tresor. 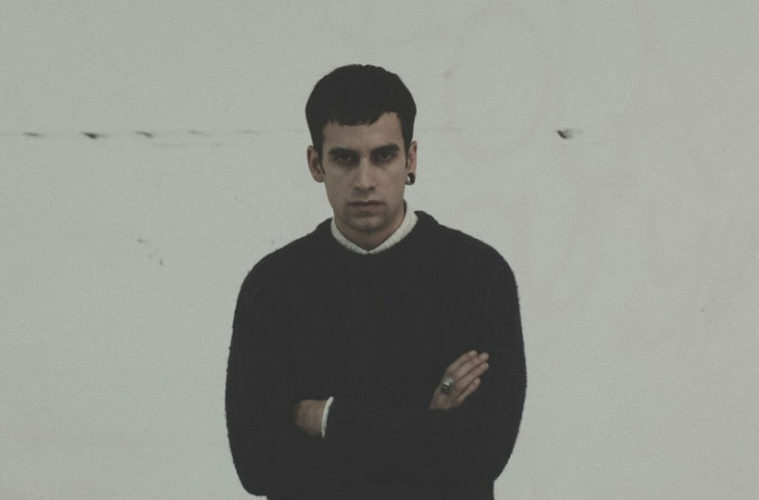 Madrid-Berlin based, Psyk has released music on Luke Slater’s Mote-Evolver, Svreca’s Semantica & has played in venues such as Fabric, Berghain, Fuse, DeSchool, Concrete. In 2011 he founded his Non Series imprint that has released collaborations by strings of prominent artists, from Silent Servant, Architectural, Chevel, Marcel Dettmann, Mark Broom, Function & Tadeo, among others. We got the chance to speak to Psyk about his songwriting practices, hardware vs. software, working with Tresor and more. Hi Psyk, firstly I’d like to thank you for taking the time out to do this interview with Monument, we’re very excited to be speaking with you. Thanks for your time and your interest in my work ! ‘A Moment Before’ is the first LP you’ve released in five years. What is the process that you undergo in order to record an album? I always had in mind to record a second LP. I was living in Berlin three years ago and the idea of starting a new album started there. Had a bit of a rough sentimental time by then and I am sure this helped me out to develop interesting ideas for an album. Five years is a long time to be working on a piece of art. Do you continually produce your work on an ongoing basis and then piece the tracks together at a later stage, or is there a set time period where you create music with the intention of having all the tracks be linked to one another as an album? I guess is something between both, the idea of the album is there, and when I am getting a shape of it then I focus my music on link the tracks together or having a common sound that fit them together in a proper way. Artemis, taken from ‘A Moment Before’ by Psyk. When producing, do you prefer to use hardware or software, or a combination of both? I used to work just with VSTs in the past, normally its more affordable and when I started making music I didn’t have enough budget to buy proper equipment. After some time I could buy and invest money in gear and nowadays I use probably 90% hardware in my tracks. I like to mix, edit and add some FX in my computer but is more accessible for me to work over hardware and definitely I get better sound there. Almost every track in the album is done with my Modular Rack, an Analog Rytm and a Shruthi XT. ‘A Moment Before’ has an unquestionable identity as a record, where all of the tracks share a common sound palette and sound as if they could have been recorded one after the other. Do you find it difficult to get in the headspace to record music when you know it has to share a common identity? Yes that was the idea. It has to make people think that they are listening a long track, a track that evolves into different emotions or moods. Like a DJ set perhaps? It is a record you can listen at home or play in a club.The record shows emotions of every kind: anxiety, anger, calm, relief, excitement… all of them driven through a minimalistic, deep and hypnotic aesthetic (or at least that was my intention). Since you released ‘Works’ on Tresor back in 2015, it must have seemed like a natural progression to go on and release an album on the label. What is it like working with the Berlin behemoth label? The first time Tresor booked me was at the end of 2011 or early 2012 in Berlin, then they book me for a Showcase in London, and Dimitri was there. He saw me playing and really liked my set, so since then I think they tried to support me somehow. After some years Paulo (the label manager) and I got in touch for my Works EP and it worked very well, so we had in mind to make something in the future. I finished last year the album and the idea was to release it through my label ‘Non Series‘ but then I thought it could fit better in Tresor so I sent it to Paulo, they liked it and they decided to put it out…Tresor has been one of the most inspiring labels in the industry for years and releasing an LP for them is something I always dreamed about. ‘A Moment Before’ is your most advanced and well developed piece of work to date. How do you feel you have progressed as a music producer since you debuted on the scene? Well I have been always very eclectic in my productions and my DJ sets and you can see that in retrospect. I just do what I like at the moment. And my music evolves forward as I always try to improve and try new things. Always liked the minimalistic aesthetic in general (paintings, pictures, music…). For techno Robert Hood, Luke Slater, Basic Channel, Plastikman have been big influences in my sound since I started and now it has probably more contemporary sound. I always try to get my personal touch or something that represents my identity as a producer though. People when I play at clubs usually ask me why I don’t make new ‘bangers’ again, like I was doing in 2012/2013, but it doesn’t make sense to me. I did what I did back then cause I liked it and I am doing this now because it is what I like now. I don’t know what I will be doing in 3 years but every track or EP is a new experience and I always learn something about it. Staying in the same place for long is boring, or at least it is for me. Quadrant Dub by Basic Channel, originally released in 1994. Monument has been focusing on deep, hypnotic and psychedelic techno since their inception. As a producer, do you feel like these styles of techno are coming into focus of larger audiences more so than before? I think there is an audience for every genre of techno. There is a lot of Festivals focused on deep techno: Forte Festival in Portugal, Parallel in Barcelona, The Labrynth in Japan … And in almost every decent festival you have a lot of artists playing this kind of stuff. So that means more people are listening these kind of genres. Techno as a musical subculture has undoubtedly grown in popularity in the past 10 years or so. What do you think is next for the genre? Where do you think it will go? Nowadays you can listen to every different genre of techno almost everywhere. It is true that there is always some sort of hype in a specific style every moment. Right now young people like to listen the so called ‘Rave’ and I guess this hype could evolve into something close to Hard Techno because people are playing faster and faster every year. Then they will get tired and the circle will turn again into another style… The good thing is that, the scene is so big at the moment that there is always a lot of different artists and labels doing or releasing proper stuff for each and every different techno genre.Not keen on the music people are playing nowadays to be honest, so let’s see what is coming next. With the rise in popularity of techno combined with the accessibility and affordability of music technology, DAWs like Ableton Live & Logic are becoming more commonplace on people’s computers. Do you have any advice for aspiring producers? It is all about never stopping investigating and learning. I never stop watching videos, reading and searching stuff about gear, sound, music… The internet has a lot to offer and there are always things we can learn about. Young producers just want to have success really quickly and now social media is killing the whole scene, because we just find hype or models instead of DJs and we are not giving the importance the music has.So it is definitely a long process of learning that never ends and that’s what the young producers must know. Patience and practice are the key. Treating this like an art expression instead of just a business definitely is something also to have in mind. Lastly, what is your favorite piece of kit as a producer, and why? Analog Rytm & 808. It is almost in every track I’ve done for the last 3/4 years. Useful for live sets and for studio production. Love the sound of it, and it is a very versatile machine. It really changed my sound when I got mine back in 2016. Thank you very much for taking the time to do this interview Psyk. A Moment Before will be released on Tresor Records on March 22nd. Listen to Peace of Mind by Psyk via our Soundcloud below.